In order to put Norwegian Jewel's dining options into perspective, you have to start with the concept of Freestyle Cruising, which underlies Norwegian Cruise Line's entire cruising philosophy. “Freestyle is about options and you and your travel partners deciding whatever you want to do whenever you want to do it. It gives you total freedom to organize your day without being restricted to certain times and certain places,” explained Hugo Vanosmael, Hotel Director on Norwegian Jewel. 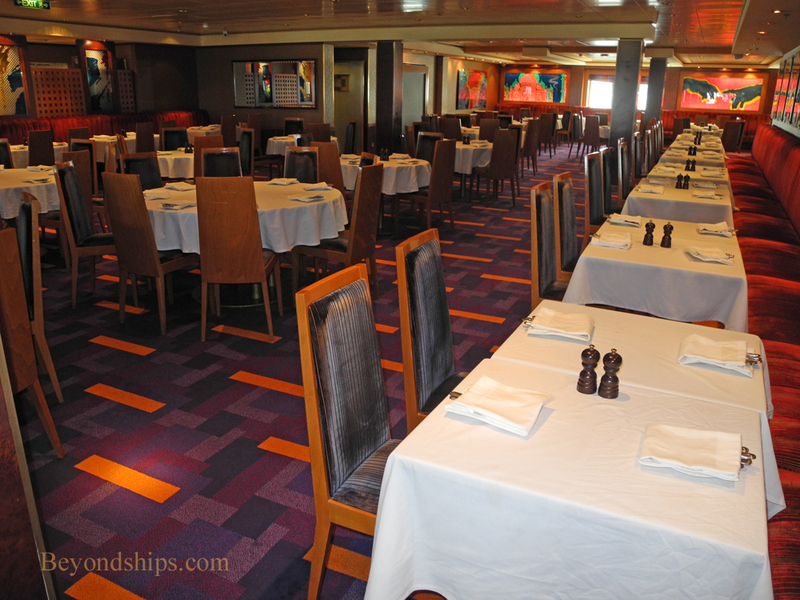 Norwegian Jewel has two main dining rooms. Guests can have dinner in either restaurant. You simply decide which one you want to dine in and go there when you want to eat. If no tables are available, you are given a beeper, which will alert you when your table is ready. 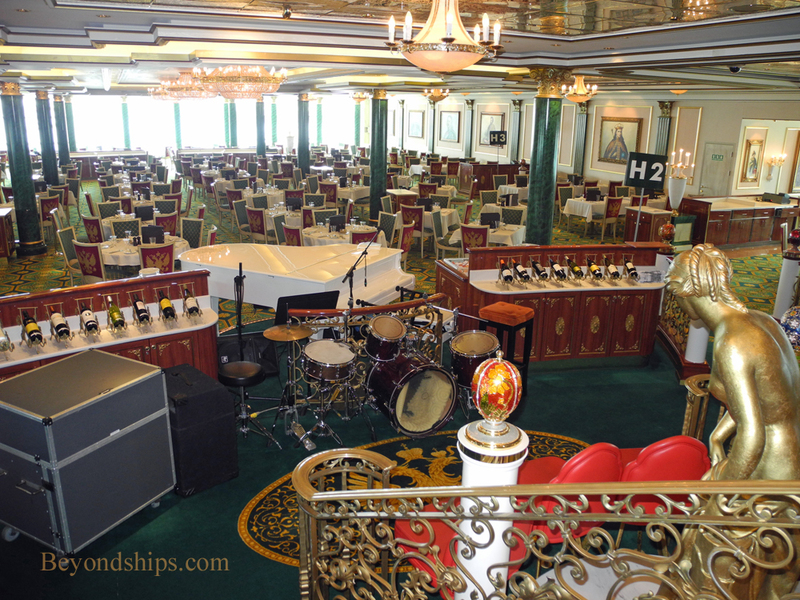 Consistent with Norwegian's philosophy of giving the guests options, each of the two main dining rooms were conceived of as providing its own style of dining experience. “The Tsar's Palace is the bigger, more elegant dining room.” Indeed, the room was inspired by the palaces of the Russian czars in St. Petersburg, complete with portraits of members of the Romanoff dynasty and plenty of sumptuous gilt highlights. The two dining rooms have different dress codes. In keeping with its more sophisticated atmosphere, the code is more exacting for the Tsar's Palace. However, this does not mean formal wear. Guests are asked to wear jeans or slacks, not shorts. Men should have collared shirts and closed shoes. For women, a dress/skirt and top are specified. Both the Tsar's Palace and the Azura Restaurant are complimentary (i.e. included in the cruise fare).